1. Are the shipping plugs still in the hydraulic hoses? Just disconnect the hydraulic hoses, remove plugs, and reconnect hoses. Presto. 2. Is something else blocking the hydraulic lines? 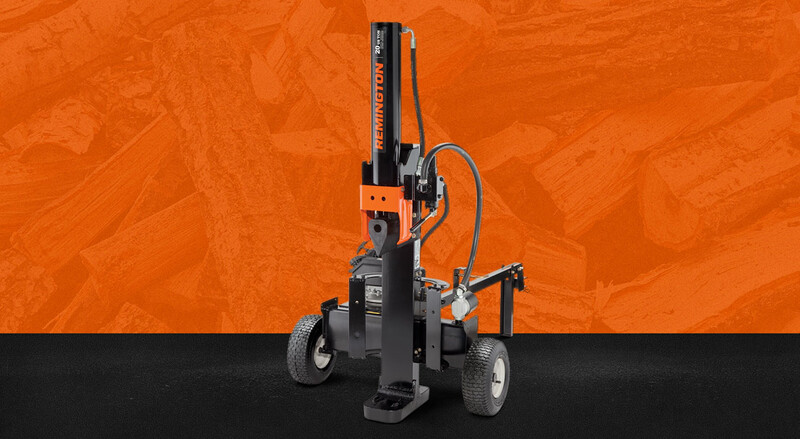 Try flushing and cleaning log splitter’s hydraulic system. Refer to the ‘Maintenance’ section of your model’s manual. 3. The control valve may be blocked. 4. The shaft coupling may be loose. Tighten the engine/pump alignment as necessary. 5. Check that oil level. Too much or too little? Add or drain to adjust oil levels in your gas log splitter. That covers the easy fixes. If you’ve tried all of the above and your cylinder rod still isn’t moving, the issue could be more complicated. (Like a broken drive shaft or damaged control valve). In that case, contact an authorized service dealer. Having another problem with your Remington hydraulic log splitter? Find more troubleshooting tips in your model’s manual.